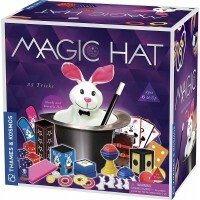 The incredible Magic Hat appears, disappears and contains 75 easy to learn magic tricks to impress family and friends. 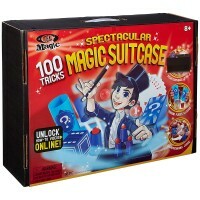 Magic Hat full of magic tricks comes handy for the beginner illusionist! 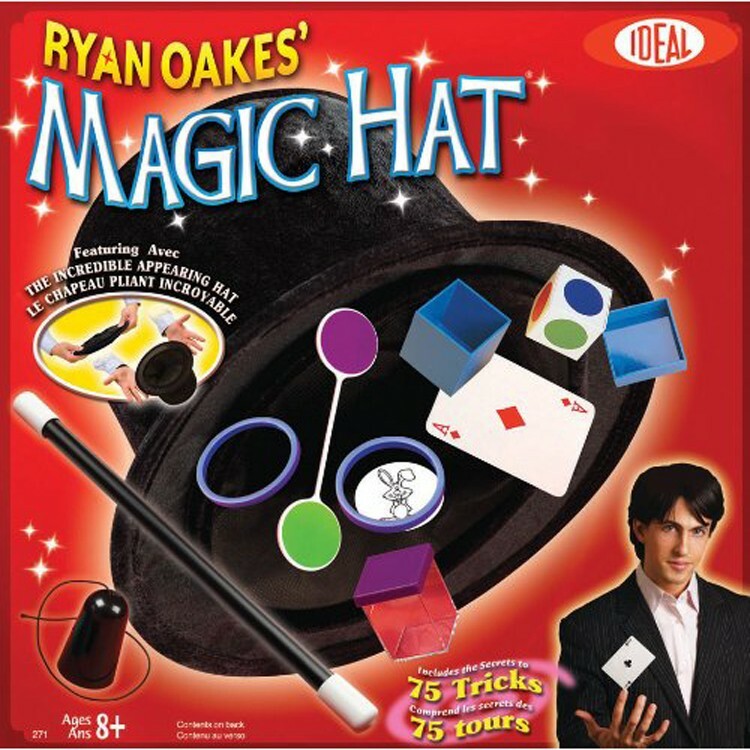 Ideal Magic Hat 75 Tricks Kids Magic Set brings 16 props and accessories to learn and perform amazing and simple magic tricks. 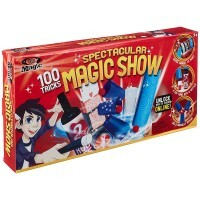 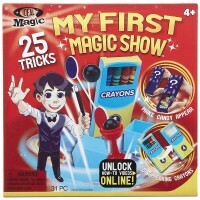 Featuring the incredible appearing from nowhere magic hat, this children magic set teaches to do 75 easy-to-learn tricks. 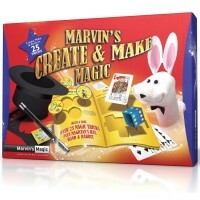 Surprise your friends a rabbit token disappears before their eyes. 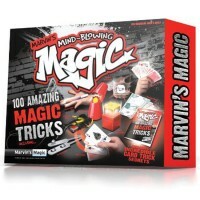 Make 3 lollipops magically vanish from a regular brown paper bag. 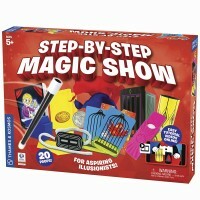 Show disappearing and reappearing coins, cards, and more! 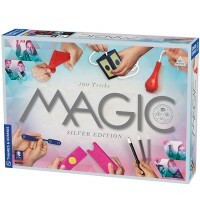 The magic kit from Educational Toys Planet contains collapsible magic hat, 2 rabbit rings, rabbit token, plastic lollipop, magic wand, coin box, printed card, angel coin, magic cube, cube box, hanky vanisher, 2 magic cards, thumb tip, and 35-page detailed instructions. 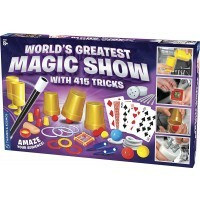 Learn, practice and amaze your family and friends with the incredible magic show! 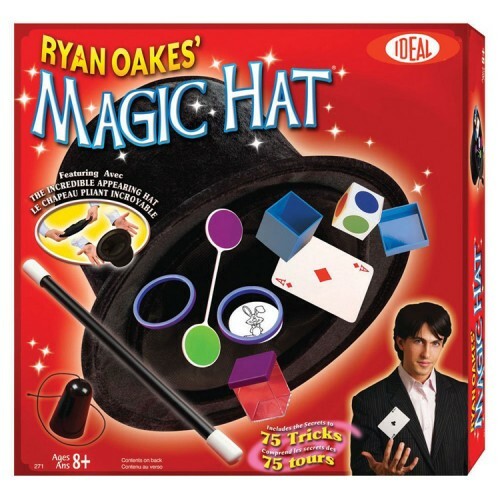 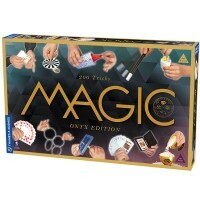 Dimensions of package 2.5" x 10.5" x 10.5"
Write your own review of Magic Hat 75 Tricks Kids Magic Set.